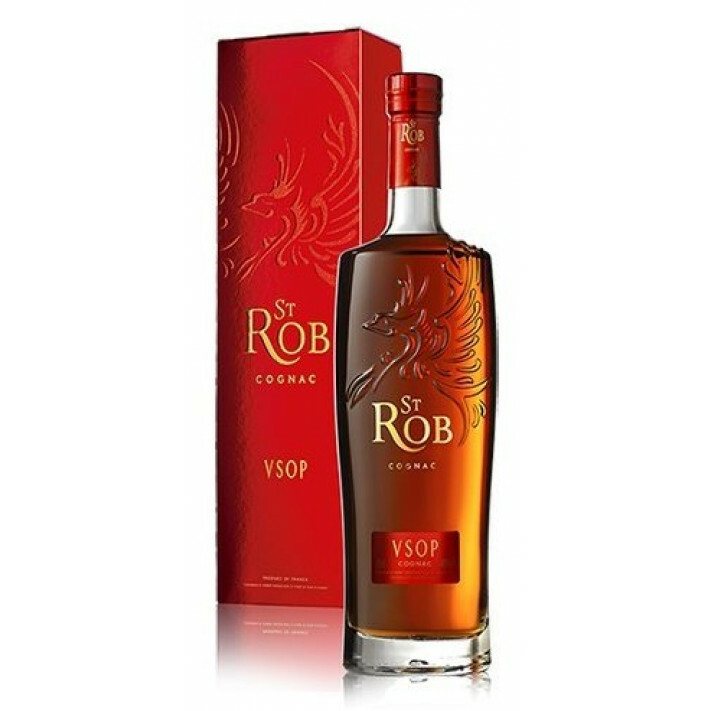 The youngest quality of all of the estate's cognacs, St Rob VSOP Cognac is created from a harmonious blend of both Fins Bois and Borderies eaux-de-vie. Fresh, fruity, and supple, this is a cognac that can be enjoyed neat, over ice, or perhaps combined with a mixer to create a refreshing long drink on a hot day. The bottle is embossed with the emblem of the house - a phoenix - which symboises the re-birth of the house after it was rescued from centuries of disrepair thanks to the efforts of owner and cellar master, René-Luc Chabasse. A cognac house that saw a 're-birth' thanks to the passion of one René-Luc Chabasse, the brand of St Rob is well represented by it's trademark phoenix - a logo that symbolises the re-birth of an estate that fell due to the French Revolution and the disposession of the rights of the nobility and clergy. St Rob tasting notes: Boasts great length on the palate and outstanding aromatic persistence. The bouquet releases aromas of cocoa and violets, as well as a wondeful scent of rancio. St Rob tasting notes: Long and rounded on the palate, with rancio aromas and notes of stone fruits. Tasting review by Tiffon: This cognac is pure and natural with pleasant aromas of citrus flavor and driedfruits. It has very pure and light oak aromas on the palate. Great harmony and balance between oak and fruits. This VSOP presents a dark amber colour. On the nose some darker, fruity notes. The finish is strong, and lasts for 5 minutes.